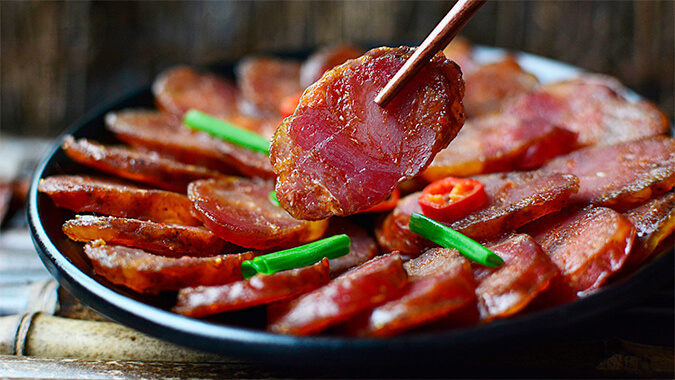 Rugao sausage has a long history, and it is made from the no-ribs meat and the fine meat on the hind legs of the pig, as well as some fat meat. 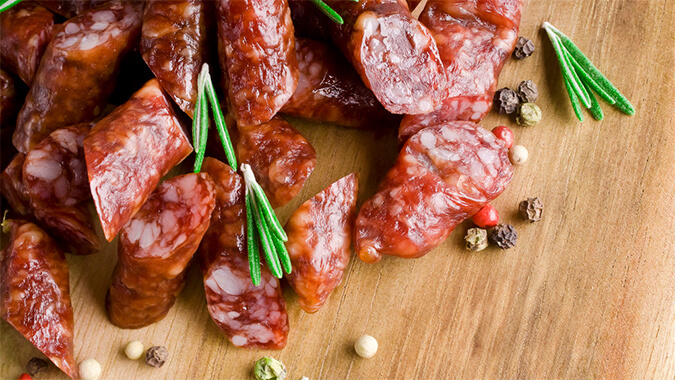 Because the seasonings are well prepared and the technical operation is fine, so the sausages made are beautiful in color and delicious in taste. Making steps: put the diced meat into the container, put the fat diced meat, sprinkle the salt on the meat surface, stir well and hold for 30 minutes so that the salt is fully immersed in the diced meat, add seasonings such as sugar, soy sauce, and rice wine, stir well, rinse the casing with water, and fill the sausage manually or mechanically. 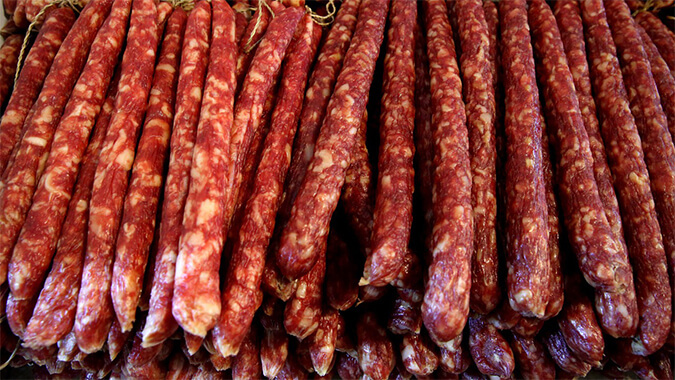 Rugao sausages are neatly arranged, the meat is tight, the color is bright, the salt and sweetness is moderate, the flavor is heavy, the nutrition is rich, the meat is tender when chewing, the fat meat is not greasy, and it is very delicious deeply loved by the masses.